Error: Unable to download the operating system installation files. Unable to download the operating system installation files. 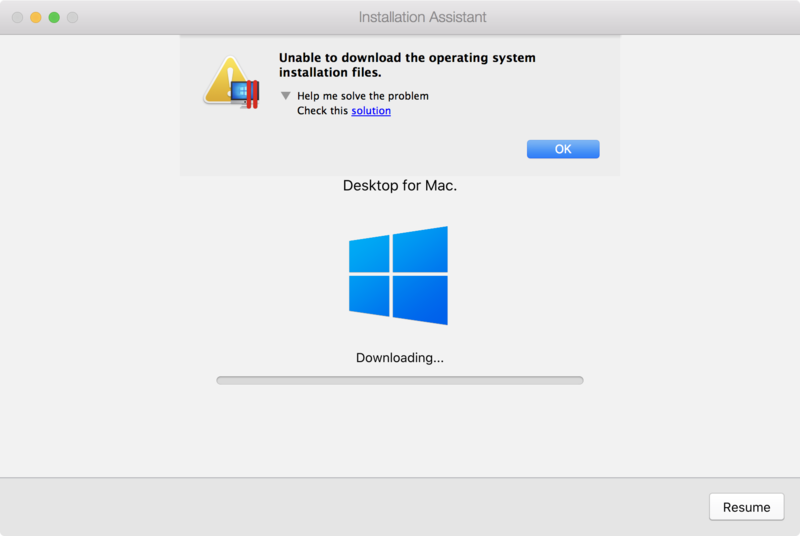 This error occurs while downloading a virtual appliance using the Parallels Installation Assistant. NOTE: to download Windows 10 installation image manually visit this page. Check your Internet connection. If you are using Wi-Fi or mobile network, connect the computer to Internet using Ethernet cable to ensure network stability. Do not close the lid of your portable Mac when downloading. Click OK on the error message and click Resume. Try to download virtual appliance's distribution files once again.